For many years, the Cultures of Resistance Network has been committed to the movement for Palestinians’ right to self-determination. We have been proud to work with leading organizations, activists, musicians, and filmmakers who are taking courageous stands for Palestinian human rights. On this page, you will find links to our allies who are providing regular updates on the issue, background information and context, and suggestions for long-term action that you can take to show solidarity with the people of Palestine. In addition to repressive policing and periodic military attacks, which result in the deaths of hundreds of civilians each year, the Gaza Strip continues to suffer from a blockade on imports and exports. 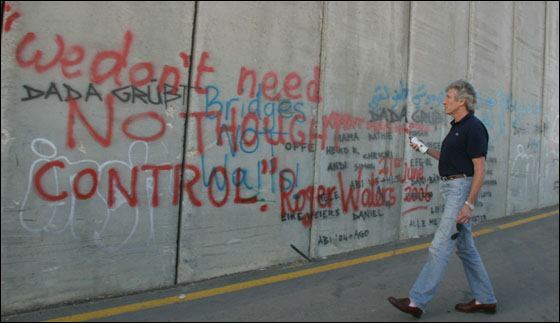 From June 2006 into 2007, Israel "tightened its closure of Gaza’s borders, over which it has near total control, including restrictions on the supply of electricity and fuel, in violation of international humanitarian law," according to Human Rights Watch. Though Israel announced in June 2010 that it would allow "civilian" goods into Gaza, and Egypt partially reopened the Rafah border crossing in 2011, the blockade has continued to have catastrophic humanitarian and economic consequences for the civilian population. According to the UN, both imports and exports to and from Gaza remain severely restricted. Severe poverty endures and many basic needs remain unmet: as of September 2012, for example, Gaza had an estimated shortage of some 250 schools, in part because construction materials could not reach the area. In the West Bank, and especially in East Jerusalem, Israel persists in demolishing Palestinian homes under discriminatory practices that enable the building of unlawful settlements. Within a week of pausing hostilities in Gaza, Israel announced one of the greatest appropriations of land in the West Bank to date. Other flagrant violations of international law include severe restrictions on Palestinian freedom of movement and the arbitrary detention of peaceful protesters, including children. Human Rights Watch adds that Israeli soldiers increasingly use unnecessary lethal force against demonstrators in the West Bank, Gaza, the Israeli-occupied Golan Heights and across the border in Lebanon. Furthermore, occupying forces often deny West Bank Palestinian communities access to natural resources and basic utilities. These measures regularly lead to the mass displacement of West Bank citizens. As Palestinian activists face increasing restrictions on their speech and ability to associate, international grassroots support for their struggle is now more urgent than ever. Connect with other activists. On every continent, there are networks of people organizing around this issue. If you live in the United States, link up with the US Campaign to End the Israeli Occupation, a national coalition of more than 250 organizations working to change US policy toward Israel/Palestine, with a broad platform addressing human rights, equality, and international law. If you're in New York, also check out Adalah-NY: The New York Campaign for the Boycott of Israel, which is a local grassroots group that advocates for justice, equality, and human rights for the Palestinian people. Those living in the United Kingdom can get involved with the Palestine Solidarity Campaign, which has close to fifty branches across the UK. The International Solidarity Movement is another international organization with branches in a number of European countries, including France, Sweden, Italy, the Czech Republic, and a number of other countries, as well as in US cities. You can check the list of "support groups" in the bottom-right corner of their main site to find out if there's an ISM chapter in your country. Meanwhile, no matter where you are, if you have an internet connection, you can also get involved with Avaaz, a global online campaigning movement that has long advocated for the rights of Palestinians. With over 21 million members worldwide, Avaaz mobilizes social media to bring people-powered politics to decision-making everywhere. Support humanitarian efforts. As innocent civilians and nonviolent protesters continue to be the targets of repression by the Israeli military, humanitarian assistance remains urgently needed, especially in the Gaza Strip and in the Israeli-controlled Golan Heights. Among the vital organizations working to meet this need are the Palestinian Medical Relief Society (PMRS), a grassroots, community-based health organization comprised of Palestinian doctors and health professionals. The PMRS also works with other organizations, like the International Red Cross and Red Crescent Societies and Doctors Without Borders (MSF). These groups depend heavily on donations to sustain their efforts: click to donate to the Palestine Red Crescent Society or to MSF. Another organization to which you can confidently contribute is the Palestinian Agricultural Relief Committee, which works toward local solutions for food security in Palestine. Keep in mind that individual donations are only one way to support humanitarian efforts. If you want to magnify your impact, consider organizing a bake sale, house party, or benefit concert. Make it a group effort! If you email us at campaigns [at] culturesofresistance.org, we can put you in touch with fellow organizers who can help you plan an event. Volunteer or intern in your country. If you're looking to volunteer or intern with a group fighting for justice in Palestine, get in touch with the Palestine Freedom Project. Dedicated to providing resources and logistical support to grassroots Palestine solidarity activists everywhere, the PFP lists opportunities for both volunteers and interns. There are also a number of more local US projects that engage in activist work in support of Palestinian rights. Travel to Palestine. Learning for the Empowerment and Advancement of Palestinians (LEAP) is a CoR Network ally seeking volunteers to assist with their three educational initiatives in and around Palestine. The Palestinian Medical Relief Society, listed above, also seeks local and international volunteers to join their efforts in Palestine. If you're interested in visiting Palestine and learning about conditions there first-hand without volunteering, consider taking a reality tour through Global Exchange. Local Israeli and Palestinian groups such as Jews for Justice for Palestinians also organize reality tours; you can check their site for details. Put pressure on the US Congress. Our ally Al-Awda urges US citizens to tell their members of Congress that they want them to pursue a balanced, constructive foreign policy that will lead to an end of the occupation and the establishment of a just peace between Israelis and Palestinians. Click here to learn more about how you can effectively reach out to your representative. Stay up to date and spread the word. Visit Amnesty International's Palestine page for regular updates on the situation in Palestine. In addition to staying informed, the Free Gaza Movement emphasizes a number of ways that you can raise awareness about the Israeli occupation in your community, whether by writing letters to local newspapers, calling in to political talk radio shows, or bringing up these issues in faith groups, reading groups, and other local outlets. Back to "Human Rights Not War"